McCrae’s Rotomahana Hotel was the largest building in Te Wairoa. 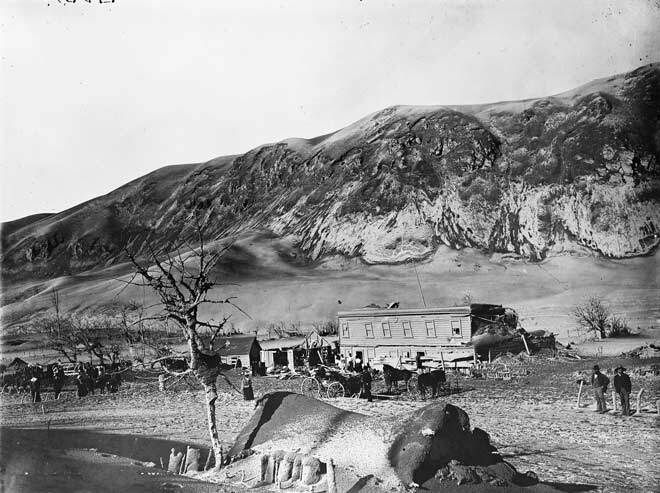 A large group sheltered there as Mt Tarawera erupted in 1886, but the roof collapsed, and the survivors had to take refuge in the house of Guide Sophia Hinerangi and a nearby meeting house. A small house, covered in ash and partly collapsed, can be seen in the foreground of this photograph. The proprietor of the Rotomahana Hotel was Joseph McRae (1849-1938).